We are inviting you to attend the ISPRS Geospatial Week 2015 (http://www.isprs-geospatialweek2015.org.) to discuss recent research developments and future trends on geospatial information acquisition and extraction from remotely sensed imagery and VGI-based sensing, on geospatial quality control, on geospatial information management and BigData processing, on geospatial visualization and service development for innovative applications. We will propose during a full working week a rich scientific program (more than three hundred high quality papers were submitted) that will enable you to meet and exchange with scientists having the same interests as you and also to cross-fertilize with scientist coming from connex fields. Indeed, this Geospatial Week gathers leading specialists, experts and researchers in the fields of Photogrammetry, Remote Sensing, and Spatial Information Sciences coming from universities, research foundations, mapping agencies, public organisations and private companies. An industrial exhibition (lidar, UAV’s, hyperspectral, etc.) will also take place during the week and will give you an opportunity to get updated in the advances of new geospatial technologies and solutions (Lidar, hyperspectral, BigData, UAVs, visualisation, etc.). 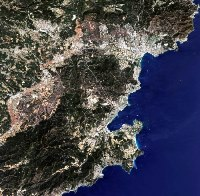 The ISPRS Geospatial Week is organised by SFPT (the French society of Photogrammetry and Remote Sensing), IGN (the French national mapping agency), IRSTEA (the national research institute of science and technology for environment and agriculture). The application form and some more information you will find on The ISPRS Foundation website. Deadline for applications: 2400 hours GMT on July 17, 2015. The ISPRS Geospatial Week was introduced in 2013 and takes place every two years. This year's meeting will take place in September/October in Montpellier, France (see above). More details of the bidding process are available here. This great success is a result of the excellent manuscripts having been published in the journal over the last few years, the dedicated efforts by the editor-in-chief, Prof. Wolfgang Kainz from Vienna University, Austria, and the publisher MDPI of Basel, Switzerland. Congratulations to all involved – this news further improves possibilities for authors to have their work published through ISPRS and receive appropriate recognition. Editors-in-Chief Derek Lichti and Quihao Weng recently welcomed Dr. Claudia Almeida from INPE, Brazil as new associate editor for the journal. Claudia has a long and successful career in satellite image processing and has agreed to bring her outstanding expertise to the journal. ISPRS is happy for this additional support - welcome to the team, Claudia! 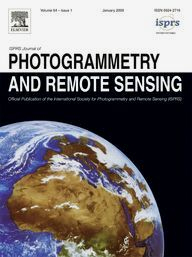 Council is very pleased to announce that the ISPRS Annals of the Photogrammetry, Remote Sensing and Spatial Information Sciences and The International Archives of the Photogrammetry, Remote Sensing and Spatial Information Sciences have now been added to the Directory of Open Access Journals, an international index for scientific literature. Giuseppina Vacca, of Cagliari University is the newly instated president of the ISPRS Italian Ordinary member Societa’ Italiana di Fotogrammetria e Topografia (SIFET), as of January 1st, 2015. On behalf of the ISPRS, President Chen Jun congratulates Prof. Vacca to her new position and looks forward to continued collaboration between SIFET and ISPRS. At the same time he thanks the former SIFET president Alessandro Carpa for his continued support of ISPRS. MOMRA, the Ministry of Municipal and Rural Affairs of the Kingdom of Saudi Arabia, is a new sustaining member of ISPRS. MOMRA is responsible for the planning and development of urban and rural areas and the administrative oversight of the management of more than 300 municipalities throughout the Kingdom of Saudi Arabia. The International Council for Science (ICSU) and the International Social Sciences Council (ISSC) have released the paper "Disaster risks research and assessment to promote risk reduction and management" written by an international multidisciplinary group of experts on disaster risk research and practice and reviewed by another group of distinguished experts. The group comprised of representatives of GeoUnions (IAU, IGU, ISPRS, IUGG, IUGS, and URSI), IRDR, ICSU Regional Programs on Disasters, and ISSC and ISCU appointed experts. Special Issue on "Supporting Future Earth with Global Geospatial Information"
“Studio analitico per l'identificazione di coppie di punti omologhi sulle immagini (fotografiche) di una traiettoria piana.” - "Analytical study for the identification of the corresponding couples of points on the frames of a plane trajectory". The paper was published in 1955 in the Rivista del Catasto e dei Servizi Tecnici Erariali, Nuova Serie Anno X , N. 1, 3- 10. Readers interested in this paper can download the original version or the one translated by the author into English. Two test data sets of China’s first civilian high resolution stereo mapping satellite ZY-3 are now available under: www.isprs.org/data/zy-3/. Thanks to SASMAC (Satellite surveying and mapping application center, NASG). I would like to present you another famous and important person in Czech history. 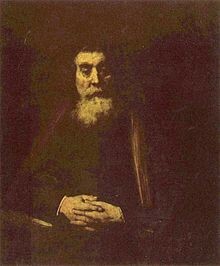 His name is Jan Ámos Komenský (Jan Amos Comenius). He was interested in philosophy, pedagogy, didactics, theology and other disciplines. He is the author of many publications, some of which were destroyed due to severe accidents he suffered and no copies exist. His language manual Janua linguarum reserata (The Door of Languages Unlocked) comprised of a new encyclopedic and linguistic system. The book brought him fame, making him well known to European scholars. Right after being published, the book was widely praised, re-published and translated so that it became the most widespread book of its time in Europe, except for the Bible. The book was translated into twelve European languages and also Arabic, Turkish, Persian, Armenian and Mongolian. He wrote the book originally in Latin and translated it into Czech later on. He explained individual topics such as the human body, crafts, houses and many others and the explanation helped students to remember individual words. It was so popular that it was used by teachers of different religions. The Great Didactic (Didactica Magna) is one of his main works, which opened the door to Europe to him, along with The Book of the Nursery School Teachers and The Door of Languages Unlocked. Due to his protestant religion, he had to leave Moravia as only the catholic religion was legal there. He spent many years abroad, not as an emigrant but more as an important invited person – in Sweden, England, Poland, Hungary and the Netherlands. A house in Naarden, which is now a museum dedicated to him and his work, was a witness of his last period in life after many private sad moments and professional successes. Rembrandt van Rijn and Dr. Nicolaes Tulp, whose arm operation was imaged by Rembrandt on the Anatomy of Dr. Tulp canvas, were among others his friends there. His educational recommendations presented in his books are still valid. He stressed discipline and he refused corporal punishment for ignorance, however, he admitted it in certain cases of discipline. From birth till 6 years – home education (the content is described in the The Book of the Nursery school Teachers. 6 - 12 years – children should attend basic school, which should be in all villages and towns. The school is for boys and girls and comprises of reading, writing, mathematics, education about nature and society, singing and handwork. Teaching takes two hours in the morning and two hours in the afternoon. 12 -18 years – youth attend a Latin school, which should be in all towns. The basic topics are 7 “free” topics (grammar, rhetoric, dialectics, arithmetic, geometry, astronomy and music), natural science, geography, history, mathematics and languages like Latin and Greek and also German to understand our neighbors. 18 - 24 years – study of Academia, which should be in each country. The student should study religion, law, medicine. He uses the name Academia to differentiate between academia and other universities, which were catholic. He wanted to distinguish them from catholic universities. After finishing their education, people should travel. 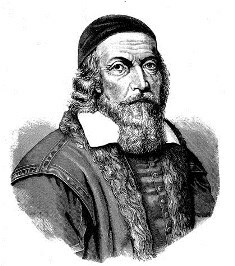 Comenius stressed that education is an endless process. He stressed that education is permanent and never ends. He was the first who defined the following terms: School year, school holidays, and school week. Each class should have its own room, pupils and students should have textbooks, and teachers should have preparation remarks on how to work with the textbooks. The education should be amusing. The pupil should also be a teacher. Education is obligatory for everybody and should be adapted to their ability. The teacher and parents should be a suitable example for the child. They should lead him to the right regime. He recommends suitable food, alternating periods of rest and work, sufficient time for sleep (8 hours) and hygienic care. It was the reason why he was called “Teacher of Nations”. Note: ISPRS members receive a reduction on the registration fee. ISPRS supports this new show on geospatial information and would like to excourage everyone to join! Geo BUSINESS 2015Visitor Registrations Flood In for GEO Business 2015! In addition to an international exhibition, the show offers a dynamic two day conference and more than 140 hands on workshops. The exhibition and workshops are all FREE to attend. There will also be a vibrant social programme to maximise possibilities for informal networking, including a gala dinner that was a sell-out at the 2014 show. This is to invite you to ACRS 2015: The 36th Asian Conference on Remote Sensing to be organized from 19 to 23 October, 2015 at the Crowne Plaza Manila Galleria in Quezon City, Metro Manila, Philippines. 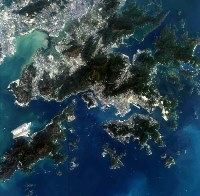 As you may know, ACRS is one of the largest remote sensing conference in Asia. Last year, more than 400 participants attended ACRS2014 organized in Nay Pyi Taw, Myanmar. We welcome your active participation to ACRS2015. This year, ACRS 2015 will bring together students, researchers, scientists, engineers, policy makers, professionals and practitioners from developed and developing countries from and around Asia to share insights into the challenges and opportunities of Remote Sensing and related geospatial technologies in building resiliency and encouraging economic growth and development in one, dynamic Asia. The conference takes place at a significant moment when disasters and climate change continues to negatively impact our people and the community. The conference, therefore, will provide an outstanding opportunity to learn and explore how Remote Sensing will help us build resiliency to these disturbances and to strengthen our capability to adapt to stress and change. International Society for Photogrammetry and Remote Sensing (ISPRS) and Moscow State University of Geodesy and Cartography (MIIGAiK) invite you to participate in the 6th International SummerStudent Seminar 3S-2015 to be held in MIIGAiK from 17 to 21 August 2015. Object Recognition and Feature Extraction (Computer Vision). Presentation and discussion of participants’ reports. Signing of a new MoU, by including one more member of the University consortium. The working language of the "3S-2015" seminar is English. Bidirectional effects in Landsat reflectance estimates: Is there a problem to solve? Roth, Robert E., Ross, Kevin S., MacEachren, Alan M.
Nelson, Jonathan K., Quinn, Sterling, Swedberg, Brian, Chu, Wanghuan, MacEachren, Alan M.
Mariathas, Hensley H., Rosychuk, Rhonda J.
Ballatore, Andrea, Bertolotto, Michela, Wilson, David C.
Bianchetti, Raechel A., MacEachren, Alan M.
Moreno, April, Tangenberg, John, Hilton, Brian N., Hilton, June K.
The House Crow (Corvus splendens): A Threat to New Zealand? Lu, Yihan, Karimi, Hassan. A. Remark: to offer vacant positions on the ISPRS website is a free service of the ISPRS. Feel free to use it!